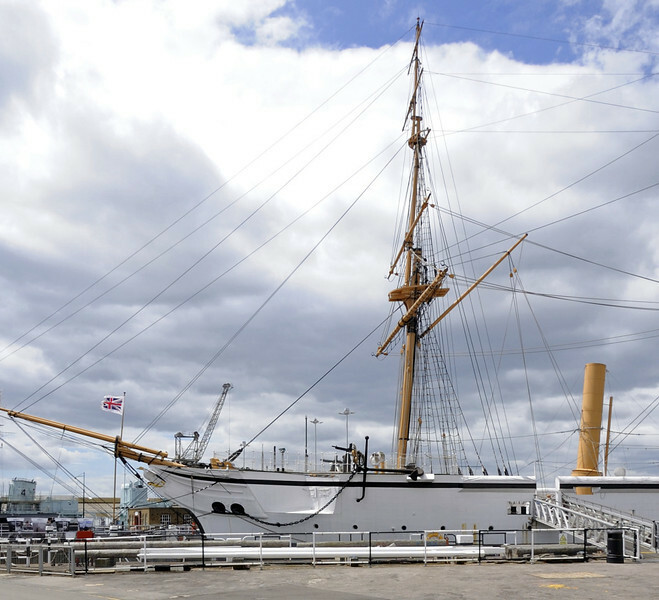 13 photos of the 1879 sail and steam sloop HMS Gannet at Chatham historic dockyard in 2012. HMS Gannet, Chatham historic dockyard, Sat 9 June 2012 1. Gannet is a sail and steam sloop built near Chatham at Sheerness in 1878. She served in the Pacific, Red Sea and Mediterranean before decommissioning in 1895. She survived because she became a dormitory ship for the nautical training school Mercury until it closed in 1968. Gannet has been at Chatham since 1987, when a protracted restoration began.